Home » Six Sigma Resources » What Is The Cost Of Six Sigma Certifications In India? What Is The Cost Of Six Sigma Certifications In India? A majority of organizations implement Six Sigma practices in order to minimize the errors and to effectively improve their business process. This process improvement system can render a robust business system and eradicates the defect in the process. Since it is the proven methodology for quality management, many top-notch companies have already implemented this practice and enjoying an increase in their profits. Learning Six Sigma methodologies can benefit one’s career as it showcases to the organization that you are committed to your work and can significantly contribute to the growth of the organization by identifying and eliminating the errors. As per Six Sigma Council, there are two paths to earn a Six Sigma Certification. Candidates who have exposure to the topics covered in Six Sigma Certification “Body of Knowledge” and can opt to take up a standard comprehensive examination on their own. Candidates who wish to opt a self-study or in conjugation with accredited training provider can appear for the exam after an intensive learning. Interestingly, the second path can contribute many benefits as they progress with the different levels of Six Sigma certifications. The Six Sigma councils have accredited various training providers worldwide to train and certify the candidates. The training providers set their own price depending on the training modules that they design as well as the training they provide. It is essential for the candidates to choose the correct training provider such as SKILLOGIC® who provides quality training at a cost-effective price. Six Sigma Green Belt certification is recognized across the globe and earning a certificate after an intensive training can help you a significant career improvement. Being a largest authorized provider of various certifications in a different niche, SKILLOGIC®‘s classroom training centers in India for Six Sigma training are located in almost all the major cities such as Bangalore, Chennai, Delhi, Hyderabad, Kolkata, Mumbai, Pune, Coimbatore, and Trivandrum. SKILLOGIC® Six Sigma Green Belt training is designed in a case study based approach by quoting more real-time examples. The training modules are designed by industry experts and this course provides in-depth knowledge of various designs, calculations, analyzes and many other processes of Six Sigma also includes Mini-Tab Tool Introduction. A Six Sigma Green Belt certification confirms your commitment to quality and it is essential to go through rigorous training in order to clear the examination. Since the exam format is multiple choice and consisting of 100 questions with those candidates answering 70% questions correctly are declared as certified. SKILLOGIC® offers 2 to 3-days Full-time classroom training and 10 days Instructor-Led Live Online Training. Flexible self-learning program is also available. Candidates can choose any program as per their convenience to clear the examination in their very first attempt itself. Six Sigma Black Belt certification can make you an expert in the entire Six Sigma Body of Knowledge that includes the most popular DMAIC model too. Furthermore, Six Sigma Black Belt certified professionals can effectively demonstrate team leadership, understand team dynamics and assign roles and responsibilities to the team members. This certification needs two completed projects with signed affidavits, or one completed project with a signed affidavit and three years of work experience in one or more areas of the Six Sigma Black Belt Body of Knowledge. 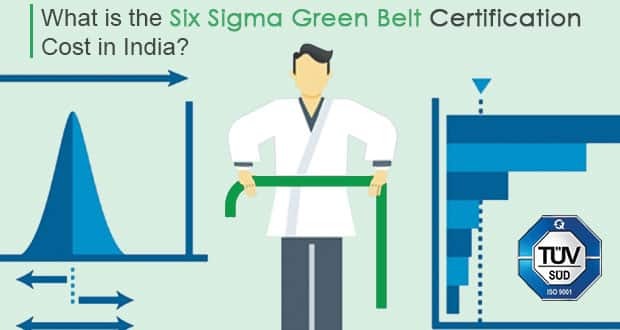 Furthermore, candidates need to be Green Belt certified in order to take up Six Sigma Black Belt certification. SKILLOGIC® offers 3 to 4-days Full-time classroom training and 10 days Instructor-Led Live Online Training for Six Sigma Black Belt certification which can be of most benefit to those emerging leaders. SKILLOGIC® Six Sigma Black Belt training is designed in a case study based approach and the training is conducted by Industry best-certified instructors. Candidates can obtain a thorough knowledge of both Six Sigma philosophies and principles as well as the usage of Mini-Tab Tool for data analysis. Unlimited exclusive access to Six Sigma Projects, career resources, articles and Job portal is also available. Upon completion of SKILLOGIC® Six Sigma Black Belt training, they can move seamlessly from the training environment into the workplace and start leading the Six Sigma projects. Previous: All About Devops Certification Courses And How To Do Them?